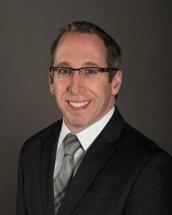 Chuck is a member/partner since joining the firm in January of 2008. He specializes in criminal defense and trial work in all levels of state and federal court in New Hampshire and Massachusetts. As the former vice president and current president of the New Hampshire Criminal Defense Lawyers Association, Chuck takes an active leadership role in every issue that affects criminal cases in New Hampshire. Chuck went to college at Holy Cross where he played baseball and majored in history. After obtaining his degree with honors, he went on to Boston University School of Law. There, he again graduated with honors while receiving the Dean's Award for outstanding academic performance, acting as defense attorney for indigent clients in Boston, and working as an editor on one of the school's law journals. After graduating law school, Chuck joined a civil trial law firm in Manchester where he worked on wrongful death cases that involved intricate legal issues as well as large monetary claims. Wanting to gain more courtroom experience, and knowing he would focus his career in criminal law, after two years he joined the Hillsborough County Attorney's Office in Nashua. While there he prosecuted felonies ranging from drug cases to physical and sexual assault, theft, and manslaughter. Seeking to apply his abilities at a higher level, Chuck then joined the Homicide Unit at the New Hampshire Attorney General's Office where he prosecuted through trial murder cases throughout the State of New Hampshire. In January 2008, Chuck joined the firm as a member/partner, and since that time has focused his practice solely on the defense of people charged with state and federal crimes throughout New Hampshire and Massachusetts. Since then, he has won bench and jury trials defending people charged with the most serious of crimes in state and federal court, and he was won cases before the New Hampshire Supreme Court. Later in 2008 after joining the firm, Chuck won the Robert E. Kirby Award given each year to a lawyer 35 years old or younger who represents the best qualities of a New Hampshire lawyer. Chuck successfully represents people charged with various driving offenses, including DUI/DWI, theft and drug cases, physical and sexual assaults, computer crimes, white-collar matters, and murder. As a former prosecutor, he is well acquainted with the methods, procedures, and tactics used by police and prosecutors when they investigate and prosecute his clients. This allows him an advantage to prepare a steadfast defense for all of his clients at all levels of the court system. He has been recognized as an expert in criminal defense law in New Hampshire, and he has used the expertise to teach criminal defense law to other attorneys and author similar teaching materials, and he is regularly relied upon by local and national media to offer expert commentary on criminal cases.